Today, the World Health Organization ranks misuse and inappropriate use of antibiotics as one of the three greatest threats to human health. Widespread inappropriate use of antibiotics has created increasingly resistant pathogens, endangering much of the progress made against infectious organisms in the last 50 years. 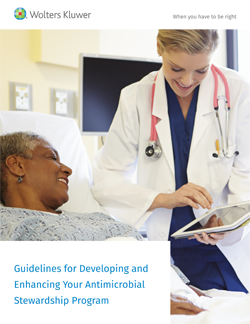 Hospitals and healthcare professionals worldwide must actively undertake efforts to maintain the efficacy and extend the useful life of existing antibiotics through well-structured antimicrobial stewardship programs (ASPs). To access the eBook, please fill out the form to the right.